Join us for a 35th Shellabration with TMNT guests from all fandoms! 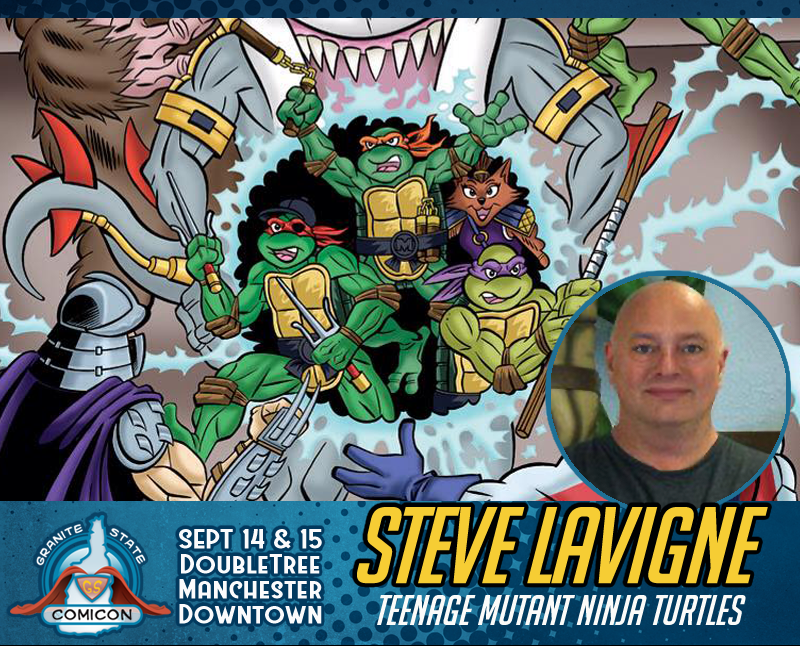 Steve Lavigne was the very first artist employee hired by Kevin Eastman & Peter Laird (co-creators of TMNT/Mirage Studios) back in 1985. He and Kevin Eastman attended high school together and it has been revealed in various interviews with Eastman, that Michelangelo’s personality is actually based on Steve. 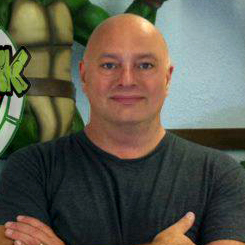 Steve began by lettering TMNT comics, coloring graphic novels and covers. He later became Licensing Artist and Licensing Art Director. Steve was the artist responsible for creating most of the officially licensed TMNT artwork seen on merchandise/toy/video game/product packaging back in the late 80’s & early 90’s. He has produced art for Playmates, Burger King, Konami, Redbook Magazine, Yes Entertainment and more. He also created TMNT characters Sergeant Bananas, Screwloose, Cuddly Cowlick, Code Name Chameleon among others. Steve continues to do covers for IDW TMNT books, tours via comic conventions and takes commissions regularly. He also owns Shellback Artworks. Shellback Artworks is a Facebook page whereby fans can view current art projects, con schedule, purchase vintage & new comics/art/memorabilia and/or request commission work.